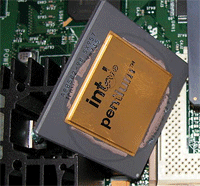 The Pentium line of processors from Intel has been their flagship product for over a decade. It provides the high-end processors for personal computers but at a markedly higher price compared to its competitors. To address this issue, Intel started the Celeron line of processors which offered a lower performance level but also at a lower price that is competitive to those that are being produced by other companies like AMD. They are built identically but some features in the Celeron processors are taken out to intentionally lower its performance. It is a bit difficult to identify the difference between each Pentium processor and its equivalent Celeron as there are a lot of models and sub models, but there are general differences that are true for most of these processors. The most difference is in the smaller amount of cache memory in the Celeron processors. Cache memory is very important as it greatly reduce the number of times the processor needs to access main memory. The speed of cache memory is a lot higher because it resides on the same die compared to main memory which is attached to the motherboard. The front side bus or FSB of Celeron processors are often lower compared to their equivalent Pentium processors. The FSB dictates how fast everything else operates at and the lower speed affects the overall speed of the computer. A lot of people combat this by manually increasing the front side bus via options on the motherboard or with other software. This is called overclocking and can lead to variable end results. Although the Celeron was a derivative of the Pentium models, it has outlasted the latter. The Pentium models are slowly being phased out as Intel markets their Core series and its successor, the Core 2. The Celeron series continues even with the Core group of processors. It stays true to its purpose as a budget processor and still performs lower compared to the newer Core processors. Ben Joan. "Difference Between Pentium and Celeron." DifferenceBetween.net. August 23, 2018 < http://www.differencebetween.net/object/difference-between-pentium-and-celeron/ >.